There are many factors that cause any type of pavement to become worn and damaged over time. At Gold Coast Sealcoat, we specialize in repairing and replacing damaged asphalt. Two of the reasons people choose asphalt over other paving options is its affordability and durability. In order to get the most out of your parking lot, sidewalk, and other black top surfaces, you should repair it when necessary. Without maintenance, this process will continue until the pavement is completely eroded away. holes filled in. We will gladly repair your worn asphalt, or if the damage is too extensive, completely resurface your paving. 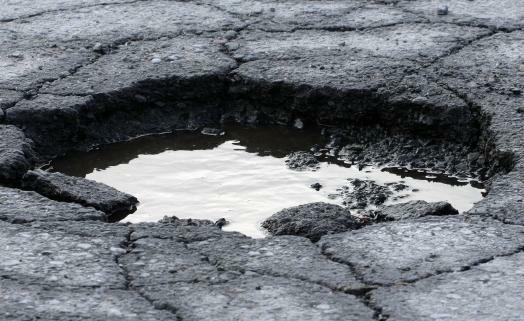 Call Today 954-670-4875 or email to discuss your patching and asphalt repair needs.